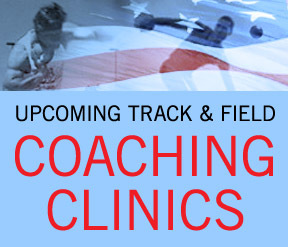 Track and Field Clinics | South County Sports Club, Inc. Some more advanced athletes may compete in more advanced events such as the pole vault, with parental approval and additional equipment expense. Whether you want to improve your running form, build speed and endurance, have fun through vigorous exercise, learn a field event, enjoy competition, or just to have fun in an outdoor environment.